Smart Solutions for HVAC and Plumbing. Maintenance contracts including guaranteed lifetime protection! No experience. No problem! CMW will train you! Central Mechanical Wichita (CMW) is a full-service, licensed heating, air conditioning and plumbing mechanical contractor based in Wichita, Kansas. CMW delivers custom solutions and exceptional customer service. We specialize in new construction, facility service, and replacement and maintenance of existing plumbing and HVAC systems. Our team is experienced and informed. We work with proven processes designed for cost and schedule accountability. The bottom line for our clients is maximized efficiency, reduced energy costs, reliability, and profitability. 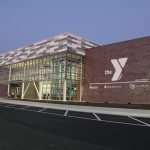 CMW did an outstanding job performing all mechanical work for the Newton YMCA. CMW’s background and knowledge provided a quality project. Without reservation, I would highly recommend CMW for any mechanical work. Kansas Heart Hospital has been an extremely satisfied customer of CMW for over 8 years. We rely on CMW to take care of all of our facilities HVAC needs, treating our buildings as their own. Their lead tech functions seamlessly as a part of our team providing prompt, thorough and skilled services.